Distracted driving is a deadly behavior causing many deaths and serious injuries. Federal studies suggested distracted driving contributes to approximately 5000 wrongful deaths every year on our nation’s highways. 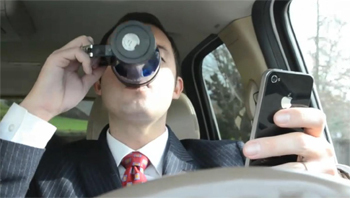 Distracted driving results from the use of electronic devices such as texting, emails and downloading music. The Schmidt-Salita Law Team recently settled a case of personal injury resulting from the driver of a large SUV being distracted while pouring M&M candies to his wife, a passenger in the vehicle. The total settlement was for more than $900,000.00. Studies show that the average period of distraction is 27 seconds. The is enough time for a vehicle traveling down the roadway at 70 miles per hour to travel almost ½ mile!!! Distracted driving can often be more dangerous than drunk driving. The Personal Injury and Workers’ Compensation Lawyers at the Schmidt-Salita Law Team have over 75 years combined experience in bringing justice to the victims of Personal Injury, Workers’ Compensation and death in car accidents, bicycle-car accidents, and car-truck accidents.